As 2016 draws to a close (and by the looks of it, most of us won’t be sad to see its hiney shuffling out of the doorway), it’s time for the annual tradition of looking back on the 1WD articles that got the most play during the year. 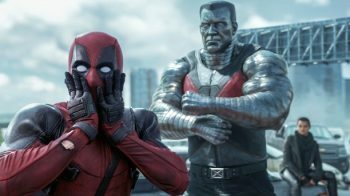 Yeah, I know it’s kind of a lazy cop-out; hey, man, go easy, my 2016 was just as crappy as yours, ok? For example, technically I am still not 100% divorced (though it’s definitely not for a lack of trying on my part!). On the plus side, I’m still doing what I love, my daughter is still amazing, and my “work” travels have seen me hit Chile, Madeira, California, Washington, Italy, Texas, NYC, and most of those more than once. Overall, shiz is still pretty excellent in 1WD land. Ah, the holidays; time for family, friends, and overindulgence! 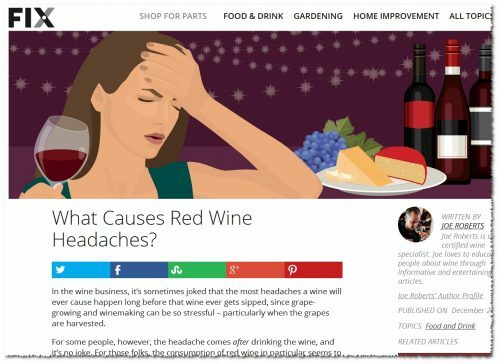 The latter, almost certainly, is the cause of your red wine headache, by the way. In any case, that evil cranial pain some of you experience after drinking red wine almost certainly is not the result of a sulfites allergy. Seriously… statistically, the most likely reason that you have a headache is because you’re HUNGOVER. I go into the specifics of this – and many other likely causes (and non-causes) of legitimate red wine headaches, in my latest article for Fix.com. If you suffer from the dreaded RWH (or know someone who does), hopefully this article can help you understand, mitigate, or even avoid getting a RWH. And as we’re heading up to the close of 2016, and the subsequent imbibing that often comes with new year’s celebrations, I’m guessing that some of you might find this one handy (along with my previous tips on how to mitigate your hangover). The way-cool infographic version of the article (complete with chemical formulations!) is included below after the jump. Cheers – and watch your intake! So, like, what is this stuff, anyway? I taste a bunch-o-wine (technical term for more than most people). So each week, I share some of my wine reviews (mostly from samples) and tasting notes with you via twitter (limited to 140 characters). They are meant to be quirky, fun, and easily-digestible reviews of currently available wines. Below is a wrap-up of those twitter wine reviews from the past week (click here for the skinny on how to read them), along with links to help you find these wines, so that you can try them for yourself. Cheers! We have arrived at the ninth (!) 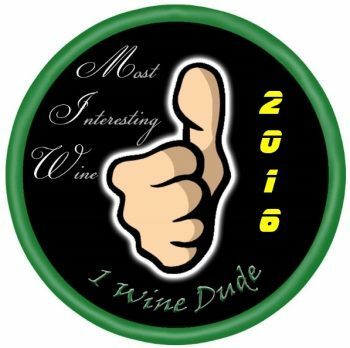 annual recap of the most interesting wines of the year. I feel old. 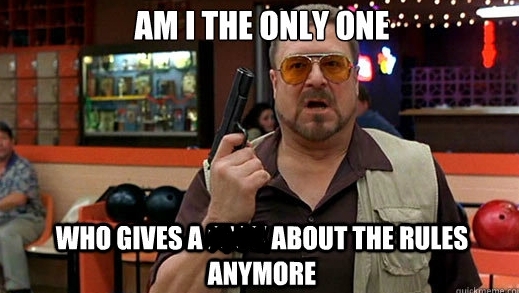 Really, really, f*cking old. Anyway, while I am coming to grips with the fact that there have been nine (!) incarnations of this list, you can check out the previous entries for 2015, 2014, 2013 (parts 1 & 2), 2012, 2011, 2010, 2009 & 2008. These are not the “best” or “highest rated” wines, they are the wines I tasted which most stuck with me during the entire year, those that I felt offered the most geeky, thought-provoking experiences. Please note, these are not necessarily wines released during the year, they are releases that I tasted during the year. Also, I once again attempted to select only wines that you’d have at least some modicum of hope of obtaining. The final ranking is my own, and is totally subjective. Once again, we have a tie. Actually, we have two ties, so the list is really a top 12 rather than a top 10. Once again, the list has some very expensive wines on it. Having said that, there are several bargains that made the MIW list this year, specifically because I found their QPR to be incredible.